Need Help completing and Filing Limited Liability Accounts with Companies House? The search is over! 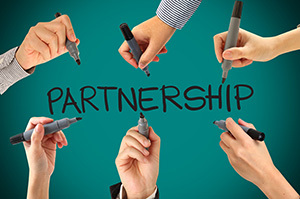 Irrespective of the size, every Limited Liability Partnership needs to file a set of LLP accounts to Companies House and a partnership tax return to HMRC every year and we agree that preparing partnership accounts and adhering to deadlines is a daunting task! We ensure that all Account and tax returns are made before the deadline so that you never have to incur penalties. At KG Accountants ensure proper production of LLP accounts & Partnership Return in line with the agreed timetables and deadlines and organise their filing with Companies House and HMRC. By giving you a fixed and competitive price, we can take the worry away when it comes to preparing and submitting your Partnership Accounts; allowing you to concentrate on running your business.